In den Lore Posts ging es diese Woche um den "Galaxy"-Konzern Shubin Interstellar und seine Geschichte, sowie um eine Erpressung, um an Informationen über Senator Kossi, seine Geldgeber und einen Plan der Tevarin zu kommen - der leider nicht näher beleuchtet wurde. Wie in den letzten Wochen findet Ihr wieder meine Zusammenfassung als Youtube-Video in diesem Artikel. Dubbed the Hidden Empire by economic historian Dr. Edward Nogel, Shubin Interstellar has become one of the most expansive companies in UEE history, with profits to rival any solar system's and an employee base large enough to fill one. And while most people are familiar with the company by name, because a large portion of their business happens in the most remote parts of space, few are aware of how massive a corporate entity Shubin really is. Yet from its very inception, Shubin was created with big plans in mind. Founded in 2410, Shubin Interstellar began life as an investment group headed by Sol construction magnate Martha Shubin to take advantage of the nascent terraforming boom. As Humanity's exploration of the stars continued and more worlds were discovered, Martha was calculating that a large bet on terraforming would pay off. The group began by providing capital to various terraforming firms, but after a series of mergers and acquisitions, Shubin Interstellar found itself with controlling interest in the third largest terraforming conglomerate in the UNE. The business continued to grow as Humanity did, but the executives at Shubin found themselves with an overhead cost problem once the terraforming was done in any given system. The equipment and expertise that they had built up in the system during the lengthy planetary engineering process was being sold off or liquidated once the work was done, at a considerable loss. Those concerns were compounded as the rapid expansion of the 25th and 26th century began to slow, meaning that there were fewer systems to terraform. The solution presented itself when Fulcrum Mining Associates offered a massive buyout of Shubin's assets in Centauri system. Instead, Shubin made a counter offer to purchase Fulcrum outright — the plan being that by acquiring their mining expertise, Shubin would be able to seamlessly retrofit their terraforming holdings directly into mining ones. It ended up being a highly profitable decision, and Shubin's already impressive portfolio expanded rapidly. 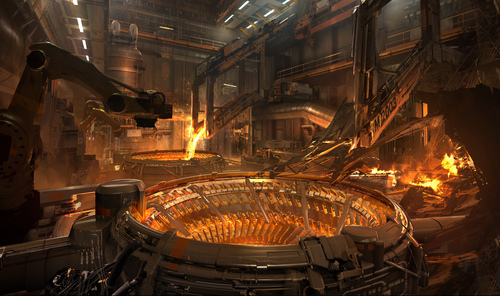 Soon pure mining facilities were being constructed in systems without terraforming needs. By the 27th century, mining made up 60% of Shubin Interstellar's net worth, which prompted the company to segment terraforming into a separate planetary engineering subsidiary and heavily shift focus to ore acquisition. Shubin had successfully transitioned from a company that helped create worlds to one that focused primarily on ripping them apart. Fast forward to today and Shubin has mining operations in close to every system in the UEE and many more beyond. Their influence on politics and government is unmatched and public records show that Shubin contributed more than any other company to lobbying efforts in the 2945 fiscal year. While these days, referring to a senator as having "rocks in his pocket" is typically used to describe a politician who holds up proceedings, the phrase originally was used for anyone in the Senate who accepted large donations from Shubin. Yet despite their size, history and political sway, their brand new shining headquarters on microTech demonstrates clearly their dedication to remaining on the cutting edge and their commitment to continue to evolve and grow. Many attribute this company's continued success to their current CEO Gavin Arlington. Born on Earth, Gavin Arlington was immersed into the world of business and finance from a young age when he got his first job as a runner at the Mumbai Commodity Exchange. According to his 2941 autobiography Collecting Dust, it was his time on the exchange floor, watching fortunes made and lost in fractions of seconds, that inspired the development of his business philosophy known as Evolutionary Management. According to this theory, only by creating a corporate environment where the ambitious and hardworking get rewarded and those not performing above expectations get quickly culled can a company remain agile and not get mired in stagnation. Even though Shubin has seen a high level of turnover in the past few years, the strategy seems to be working. Since Arlington has taken over Shubin, the company has recorded increases in profit and expansion across the board. Under his leadership dozens of new initiatives have been started, including the company's move to Stanton, tech overhauls of their mining fleet, their historical conservation program, employee health awareness, massive charitable contributions and a strong dedication to hiring military veterans. However, despite this proven track record, one of his more recent directives has been met with some controversy. Recently, Shubin Interstellar has begun another interesting transition and has gone from predominantly hiring internal personnel to heavily engaging external contractors. Arlington has come out in written statements explaining that this strategy means the company can remain more flexible in the face of changing mining conditions and allows its core workers to focus on high priority operations. However, mining rights groups have pointed out that, as contractors, many of the miners working for Shubin are no longer entitled to the same benefits and protections that full employees receive. Since Shubin has been forced to forge deeper into more and more hazardous areas, there are those who think that Shubin's switch to hiring contractors is an attempt to avoid the expense and risk associated with having their own employees working these difficult sites. Yet there's no denying that independent miners across the 'verse have been bidding on these jobs en masse, welcoming the influx of credits in what can sometimes be a volatile industry. Whatever the future holds for the company, there is no denying that they have made their mark on Humanity's history. With hundreds of tons of ores and minerals being harvested every second, Shubin Interstellar and their CEO Gavin Arlington are still changing the face of our Empire, not only physically with their large scale operations, but also behind the scenes with their wide reaching influence and financial strength. we need to talk. you dont know me but ive learned alot about you. was workin in chronos when info about your company found its way to me. nifty little racket youre running. taking a % of resources and supplies your concern ships to the synthworld and diverting them to branaugh instead. funny thing, your companys past 8 quarterly reports dont mention it at all. guessing some shareholders wouldnt be happy youre sending supplies to a planet of tevs instead of the synthworld. sure there are plenty of competitors willing to pay for such info. good thing ima reasonable individual and offering you right of 1st refusal. this info will be sold. if not back to you then someone else. I don't know how you got this account, but understand that I do not respond to blackmail. I will be forwarding your information to local authorities. I'm sure they'll be in touch. hahahahahaha …. maybe the attached will change your mind. if you have any issues interpreting the data then show it to your team. theyll tell you how imperially blasted you are. btw whats attached isnt even the most interesting breadcrumb you dropped. also leeched a series of comms between you and some associates on branaugh 2. i really liked the message dated 2946.6.13 where you pledged your "undying support" for their future plan. listen i understand why youre all hot and heavy over this plan. youre a tev with a shipping empire and strong ties to the system. makes you primed to profit big time. sure you could weather the blowback if your connections to this expanding tevarin colony leaks … but what about senator kossi? you pumped a lot of creds into his campaign to help him win. it wont matter if senator kossi knows about whats happening in branaugh or not. some unscrupulous soul could look at this info and make claims about who is really behind the senator. itd kill his career before it began. still sure u want me to sell this info to someone else? How much to make this go away? I'll need ironclad assurances. silence is expensive but im not into creds. info is my currency of choice. 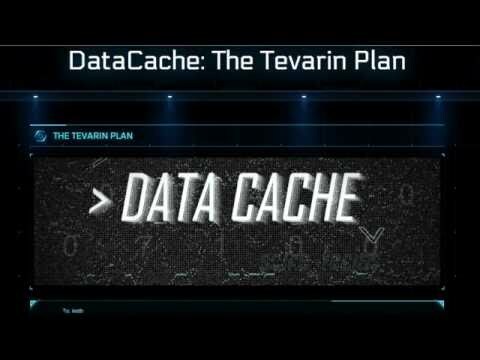 so youre going to keep giving me updates on what youre shipping into branaugh and how your fellow tevs are progressing on their plan. do that and ill stay silent. hell – ill even explain how to fix your flawed security so no one else can screw you. Normally, I avoid doing business with people I don't know, but you've left me no other option. I agree to your terms, and will offer you this as a show of good faith. Senator Kossi has no idea what's going on in Branaugh. I'm certain you've scoured my comms in search of a smoking gun, but it's not there. He is a true statesman and wholeheartedly dedicated to making the UEE a better place for all Citizens and civilians. Come after me all you want, but if Senator Kossi gets dragged into this, there will be severe consequences. What he represents is bigger than both of us. After 300 years, the Tevarin people are just starting to become part of the fabric of this empire. All that progress will be washed away if he gets tied to this. So I'll be abundantly clear, if you take Kossi down, I will spare no expense to exact my revenge on you. I've worked hard to become a Citizen and stake out my place in this empire, but trust me, I didn't grow my business into a massive multi-system operation without learning a few tricks. If you ruin him, you'll only guarantee your own demise. Now that we're business partners, I'm trusting you'll do what's in the best interest of all parties involved. ill expect weekly updates on branaugh. keep feeding me info and we wont have a problem.